We want to make a difference, not just a profit. We believe in a holistic approach to business—the better choices we make as a company, the better off we all are as a community. We believe that it is our collective responsibility to create a healthier planet. Here's how we do it. Keeping it local. We're from here, so we want to keep Ohio strong. We source from Ohio, first. If we are forced to source products manufactured outside Ohio, we make every attempt to source from Midwest companies. Keeping it local keeps the money in our communities and leaves a smaller carbon footprint that if we have to source a product far from Akron that has to be trucked in. Protecting where we play: 1% of all environmental service sales goes toward preserving our area's natural resources. 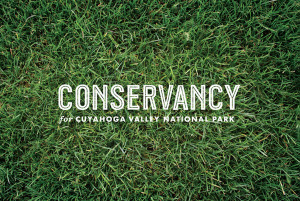 Rice donates a percentage of all environmental services sales to the Conservancy for Cuyahoga Valley National Park and Keep Akron Beautiful. We arranged our charitable contribution this way to express our team's devotion to preserving our natural environment—not just some off-the-cuff marketing scheme but a true initiative. This means that for every environmental service sold a portion of the proceeds is given away—not based on profit, but on gross sales. Small and sustainable. We do everything that we can to make sure our company's environmental footprint is small. As we move toward a zero-waste company, we take all paper and cardboard trash to Akron Public Schools recycling bins and they in-turn receive funds from another Akron-based environmental company - River Valley Paper. We've installed Nest smart thermostats at our Akron office to conserve energy. Blue recycling bins are located throughout our office. We made the investment and installed more energy efficient lighting in our warehouse. We run synthetic engine oil in our trucks, promoting increased energy conservation through better gas mileage and longer drain intervals which reduces consumption of natural resources. If It's Broke, Fix It. Reuse vs Recycle. Everyone knows the three R's of environmental sustainability: Reduce, Reuse, Recycle. But did you know they appear in order of importance on the EPA solid waste management hierarchy? Reducing how much we consume and shifting our consumption to well-designed products and services is the most preferred level. Use less stuff. According to the EPA, "making a new product requires a lot of materials and energy: raw materials must be extracted from the earth, and the product must be fabricated and then transported to wherever it will be sold. As a result, reduction and reuse are the most effective ways you can save natural resources, protect the environment, and save money." Reduction and Reuse is the best option per EPA guidelines. That's about giving your "waste" materials a second life. For instance, if you have at least 550 gallons of used hydraulic oil, gear oil, quench oil, cutting oil, water glycols, drawing lubricants, rust preventatives or polyol esters and they're contaminated and/or worn out from use (depleted additive package), we can restore them to like new quality. Repair and reuse these non-renewable resources instead of having the used oils and lubricants hauled offsite for recycling and re-filling with brand new oils. We keep trying to improve. We’re working on improving every day. We will be investing in projects such as solar power, wind power, electric and natural gas vehicles as well as ways to either reclaim or recycle more and more waste streams as we strive for our zero-waste vision. Dave advanced to sales manager, then VP of Sales and eventually earning the opportunity to buy Rice from Mr. Rice's son, Bob Rice, Jr. From there Dave continued to pioneer and champion the fast-lube industry in NE Ohio. He expanded Rice's product offering from primarily auto service centers, car dealers and parts stores into the fleet-commercial and industrial-manufacturing segments. 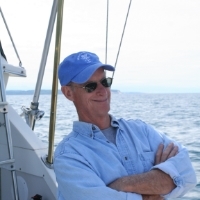 In addition to some key acquisitions to grow the company's footprint, one of Dave's most strategic moves was starting an environmental services division (Rice Environmental Services). Initially the goal was to service customers from cradle-to-grave for certification, collection and recycling of non-hazardous used oils, used antifreeze and used oil filters. As the years rolled by, Rice customers continued to ask us to manage more and more different types of waste streams. Today, thanks to the foundation built by Dave, Rice is a full-service provider for hazardous, non-hazardous and universal waste disposal and recycling, vacuum truck and industrial cleaning services and the Trace-This-Waste service app which helps large, small and conditionally exempt generators of waste trace-their-waste from Cradle-to-Grave as part of EPA's three-year document retention requirement. While Dave is retired and no longer active in the business, he continues, along with his wife, Jody, to be an inspirational source of encouragement and support.